Lino Maldonado, Vice President of Operations, Growth and Innovation for Wyndham Vacation Rentals North America, has been named the new Chair of the 2018-2019 VISIT FLORIDA Board of Directors. 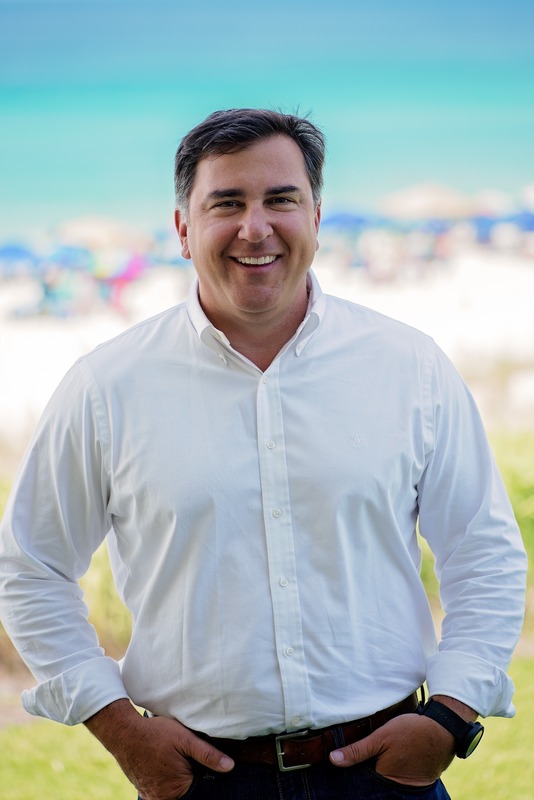 It is the first time for a leader from Northwest Florida to fill the Chair; and the first time a leader from the Vacation Rental Management industry has taken the helm. Wyndham Vacation Rental’s Gulf Region includes presence in several Florida cities. The footprint of ResortQuest by Wyndham Vacation Rentals spans the Northwest Florida Gulf Coast from Panama City Beach, Florida to Perdido Key, Florida and Orlando Wyndham Vacation Rentals manages properties located in both Davenport, Florida and Kissimmee, Florida. “As we move into a new year, I cannot think of a better Chair than Lino Maldonado who brings years of experience and extensive travel industry knowledge to his new leadership position with VISIT FLORIDA,” said VISIT FLORIDA President and CEO Ken Lawson. “Thanks to the leadership of Governor Rick Scott, the Florida Legislature and the VISIT FLORIDA Board of Directors, we are better positioned than ever to make Florida the number one global destination. During his upcoming hear as Chair of the VISIT FLORIDA Board of Directors, Maldonado intends to build on the momentum VISIT FLORIDA has achieved and focus on efforts that will propel the Sunshine State’s tourism industry to attract even more visitors. Under Maldonado’s direction, VISIT FLORIDA committees have been restructured and work groups have been introduced. This reorganization aims to cultivate further collaboration between VISIT FLORIDA and industry sectors, and harness collective knowledge to advance tourism in the state. In his current Wyndham role, Maldonado leads business development and ownership strategy across North America. He has worked for the company for 22 years, beginning his hospitality career in 1996 at Mainsail in Destin, Florida in the management training program offered by ResortQuest by Wyndham Vacation Rentals (formerly known as Abbott Resorts). Maldonado moved through several key positions in operations, sales and marketing. He has led a staff of more than 1,200 associates and budgets in excess of $500 million in his current role over operations and real estate sales. In addition to his role with VISIT FLORIDA, Maldonado is the 2016 past Chair for the Florida Restaurant and Lodging Association; and is one of six appointees to serve on the Gulf Consortium, tasked with helping to structure the Florida’s expenditure plan for settlement funds from the 2010 BP Gulf Oil spill. Locally, Maldonado has served on numerous boards including The United Way, the American Heart Association, Okaloosa County Tourist Development Council, and was a founding member of Coastal Vision 3000 (“The Beach”), which was instrumental in bringing the first low cost air carrier (Southwest Airlines) into the Northwest Florida market. Maldonado has been recognized at the state and local levels for his accomplishments in the industry, including the 2018 Van Ness Butler, Jr. Hospitality Award bestowed annually upon a community member for visionary leadership in helping to shape South Walton into a premier tourist destination. Maldonado lives in Niceville, Florida, with his wife, Vicki. They have three daughters: Stephanie, Maci and Madison. For more information on ResortQuest by Wyndham Vacation Rentals, call (844) 495-9241 and visit www.resortquestbyWVR.com. Headquartered in Fort Walton Beach, Florida on the Northwest Florida Gulf Coast, ResortQuest by Wyndham Vacation Rentals has been a local leader in vacation rentals, property management, association management, long-term rentals and real estate sales since 1977. ResortQuest offers the area’s largest selection of professionally-managed beach homes, condominiums and resorts. ResortQuest by Wyndham Vacation Rental’s is part of Wyndham Destinations family of brands (NYSE:WYND). Wyndham Vacation Rentals provides access to nearly 10,000 vacation rental properties in some of North America’s most popular destinations. For more information on ResortQuest by Wyndham Vacation Rentals, call (844) 495-9241 and visit www.resortquestbyWVR.com. For more information on Wyndham Vacation Rentals, visit the media center or wyndhamvacationrentals.com. Follow them on Facebook, Twitter, Pinterest, Instagram and Google+.